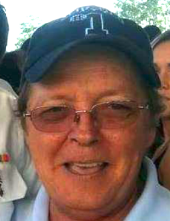 Larry Dale Tidwell, 58, passed away Thursday, January 24, 2019 at his home in De Kalb, Texas. Larry was born February 14, 1960 in Sherman, Texas to Lidge Henry and Sarah Elizabeth Morgan Tidwell, Sr. He was a restaurant cook and a member of the Church of Christ. He was preceded in death by his father and one son, Dale Eugene Tidwell. He is survived by his wife, Penney Tidwell of De Kalb, Texas; his mother, Sarah E. Tidwell of Emory, Texas; 2 daughters and sons-in-law, Marlania and Jose Ipina of De Kalb, Texas and Amanda and Jose Obando of De Kalb, Texas; two sons and one daughter-in-law, Brandon and Joyceanna Tidwell of New Boston, Texas and Concepcion Baldelamar of De Kalb, Texas; two sisters and one brother-in-law, Sarah and Jerry Jackson of Emory, Texas and Elizabeth Ann Tidwell of Atlanta, Texas; two brothers and one sister-in-law, Erbie and Toni Tidwell of Annona, Texas and Lidge Tidwell, Jr. of Atlanta, Texas; ten grandchildren; five great grandchildren; and numerous other relatives and friends. Graveside services will be 11:00 A.M. Saturday, February 2, 2019 at Sand Hill Cemetery in Simms, Texas under the direction of Bates Family Funeral Home with Jonathan Moles officiating. To send flowers or a remembrance gift to the family of Larry Dale Tidwell, please visit our Tribute Store. "Email Address" would like to share the life celebration of Larry Dale Tidwell. Click on the "link" to go to share a favorite memory or leave a condolence message for the family.